Minkys is a product and training division of Extend Your Lashes. We created Minkys for our lash clients and extensionists. Minkys lashes are unique, flexible, soft and long lasting. Unique – Our Minkys lashes come in an array curls to suit your style. They also are avaliable in rich black for the lashinista in all of us and in luxurious brown for those who love full yet understated lashes. Minkys extensionists simply love our patented Minkys trays that have 14 different lash options at their fingertips. Flexible and Soft – our Minkys lashes mimic your natural lash on high volume! Minkys feel like your own lashes with mascara on, but without the daily prep and mess. And, are longer and lusher than mascara lashes. Long Lasting – swim, workout, go to the spa, live your life! Minkys will be there with you the whole time. Lash clients and extensionist click here for more information about our Minkys. 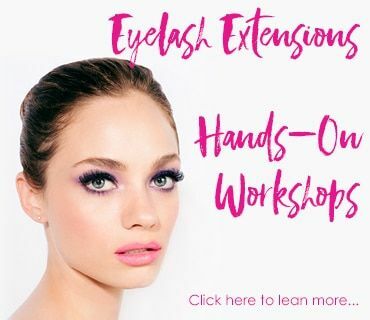 Minkys Trainers – Extend Your Lashes is looking for extensionists who have a vibrant eyelash business and would like to enhance their profession. Please click here for more information about our Minkys Team.